Today I have given myself a major shock and have, fortunately, been able to recover. A very important container of information (Microsoft OneNote – if you are interested) disappeared from my laptop! I do not know how that happened, but such is life. After a short period of running around screaming (metaphorically). I started to work out what to do about it. The Backup files were not where they should be, or rather they were, but did not contain what I needed (it appears that Syncing had failed for a few days). Fortunately I suffer the paranoia of someone that has lost data before, and try to adhere to a 3-2-1 backup strategy, so I managed to find a recent backup in a different location (Thank you Carbonite). An hours fiddling and I am back to where I should be. There is the outside chance that some of the data is a day older than it should be. And Steve, my business partner, may well have edited some of it in the last day. But we are in a far better position than we could have been. I have reorganised my backups to take into account what when wrong this time. YOU CANNOT HAVE TOO MANY BACKUPS!!! 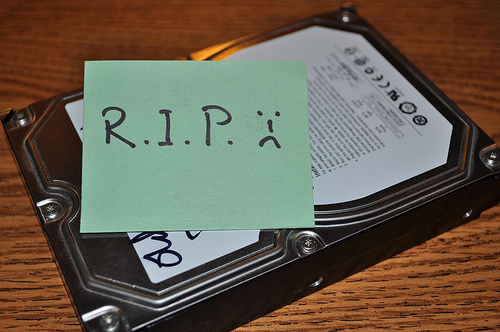 And make sure that your backups take all your data, it is not always where you think it is.